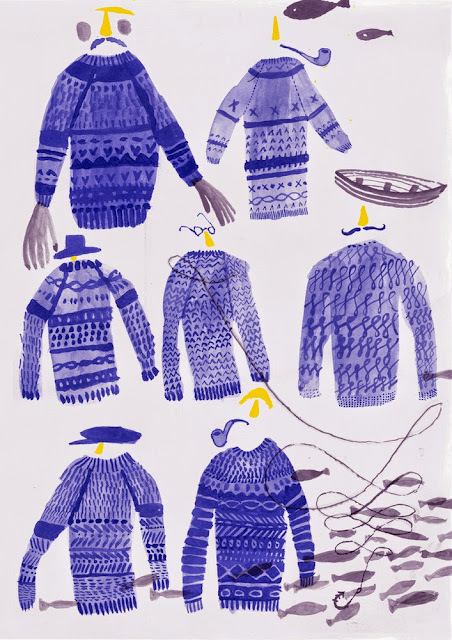 Signe Kjær Pedersen's wonderful Fisherman Tales with so much character conveyed by the knitted pattern of the Ganesy 'Fishermans jumper' and those yellow noses. So appealing on so many levels! Love this work. 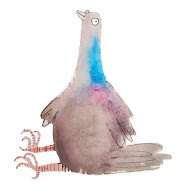 All artworks posted at the art room plant and related blogs are the property of their respective copyright owners. Any works posted against the wishes of the copyright owner will be removed upon request. The content of 'the art room plant' is not copyright free. Reproduction and commercial use is therefore forbidden.